Growing up I couldn’t imagine a holiday without my mom’s cookies. 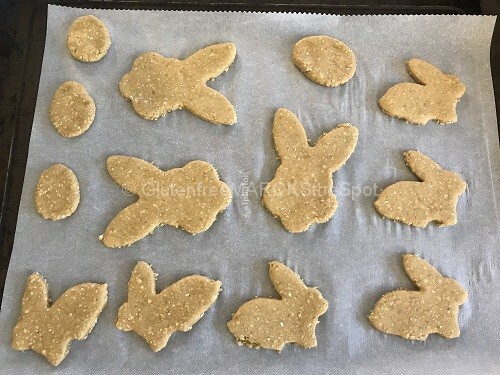 No – they weren’t gluten-free Easter cookies back then. Every holiday my mom spent hours making everyone around us her fabulous cookies. She rolled them, cut them out and decorated them all. Simply beautiful and delicious. And, yes she still makes her fabulous cookies today! They really didn’t last long with all of us in the house. Plus, she shared many with family and friends. 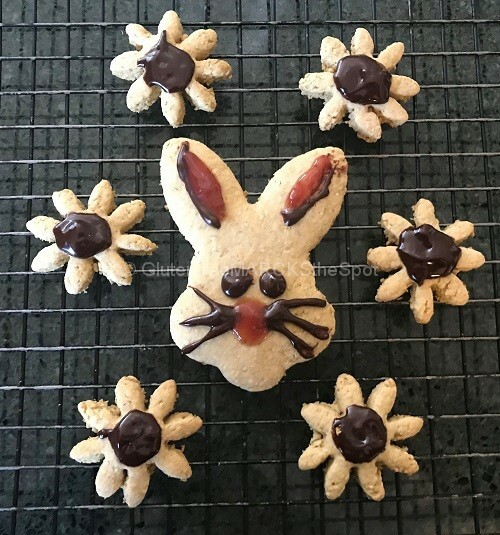 After starting our gluten-free life, we truly missed her cookies! We’ve played around a lot to create our own. Truth be told, our favorite roll out cookie is our gingerbread cookie. 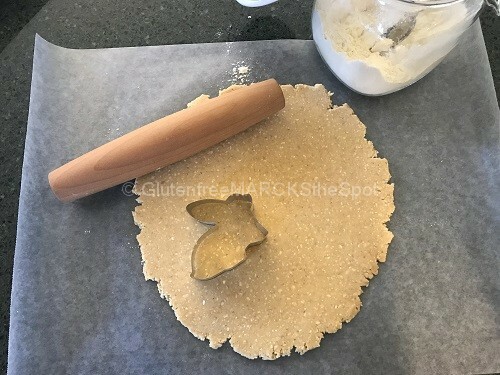 We still wanted a typical “sugar cookie”, maybe without all the sugar. We finally have a few that we enjoy. 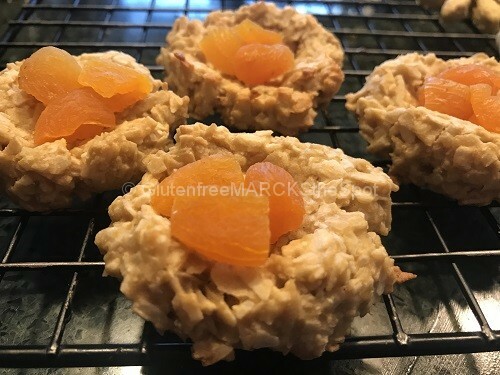 They are not the sweet cookie you expect, yet still have a satisfying taste and texture. Of course, it’s always fun to decorate them as well. Instead of sugar filled frosting, melt some dark chocolate and make simple highlights. Still delicious and sweet! Here we used dark chocolate and jam to decorate. 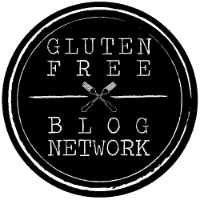 After going gluten-free we struggles to find a sugar cookie that was not loaded with sugar! We still wanted a cut out cookie we could have fun decorating. This is one version we enjoy. 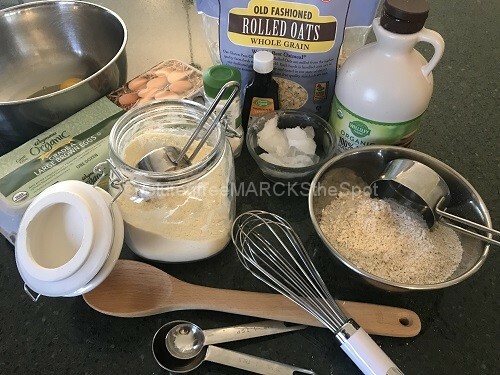 Mix the eggs, maple syrup and vanilla in a large bowl. Combine all of the dry ingredients in another bowl. Add the dry ingredients over the egg mixture. Then pour the melted coconut oil on top and mix well to form a ball. Place the dough in the refrigerator, covered, for about 30 minutes. When ready to roll out, let the dough sit for a couple of minutes but not completely to room temperature. Place on cookie sheets. Bake 4 minutes, turn cookie sheet around and bake another 4-5 minutes just until cookie is set but not browned. Decorate with melted chocolate, frosting, jelly or candies of your choice. Seal in a container for a couple of days, or freeze until ready to use. Place cookies in sealed container for a couple of days, or freeze until ready to eat. 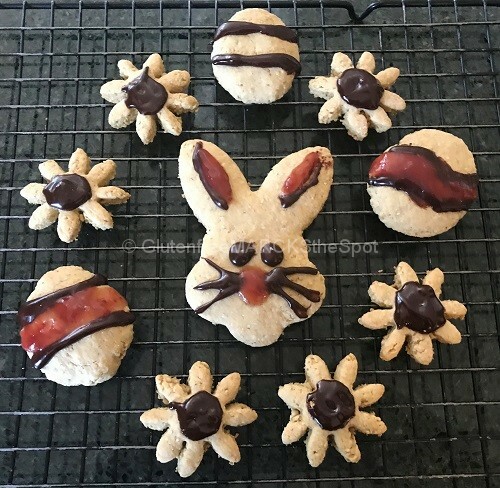 Another easy gluten-free Easter cookie is a Nest Egg Cookie. 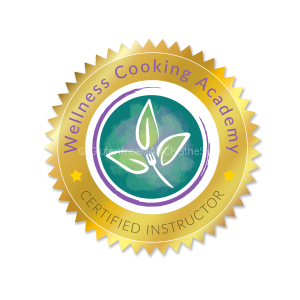 For these we use our coconut macaroons, a cookie we all love! 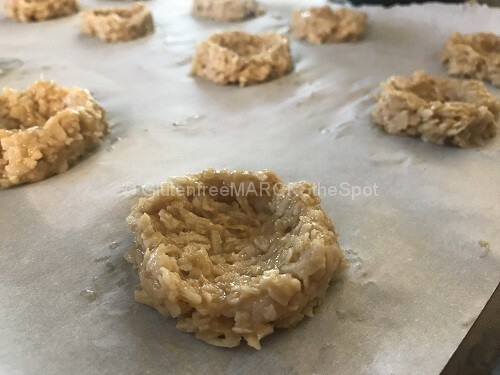 Make the basic coconut macaroon cookie recipe (found here) and shape it into a nest. You’ll need wet fingers to do this step. Gluten-free jelly beans can be used to fill the nest. 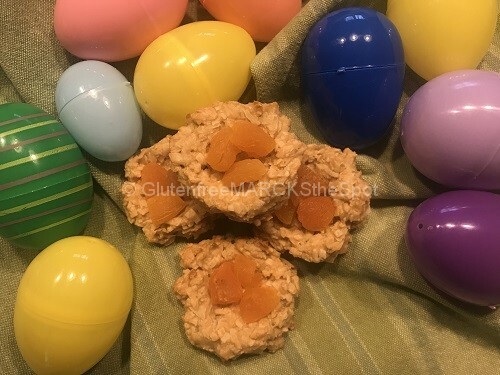 Since we cannot have corn and don’t want the extra sugar, we used dried fruit (apricots) and cut them into little eggs. Simply cute . . . and delicious! Try them out and see how pretty they can be on your Easter table! by signing up for my weekly updates! 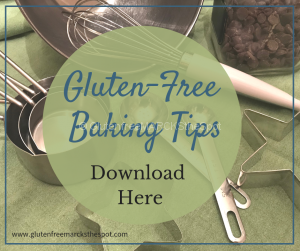 **Sign up now and get 5 FREE Easy & Delicious Gluten-Free Recipes you can use right now! 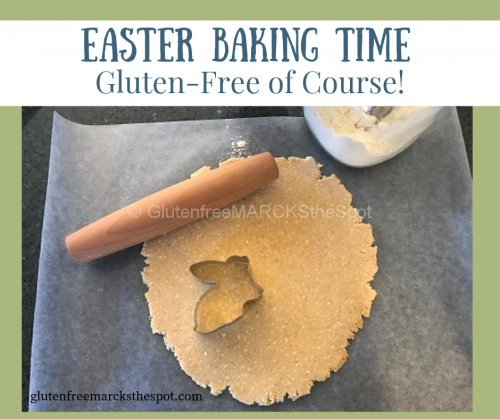 This entry was posted in Gluten Free Living, Recipes and tagged baking gluten-free, gluten-free baking, gluten-free cookies, gluten-free Easter cookies, gluten-free holiday cookies. Bookmark the permalink.